This DVD is most effectively used with our related "Our Working Lives" Part 1 Reminiscence Guide, either one-to-one or with groups of older people who grew up in the 1940s - 1960s. 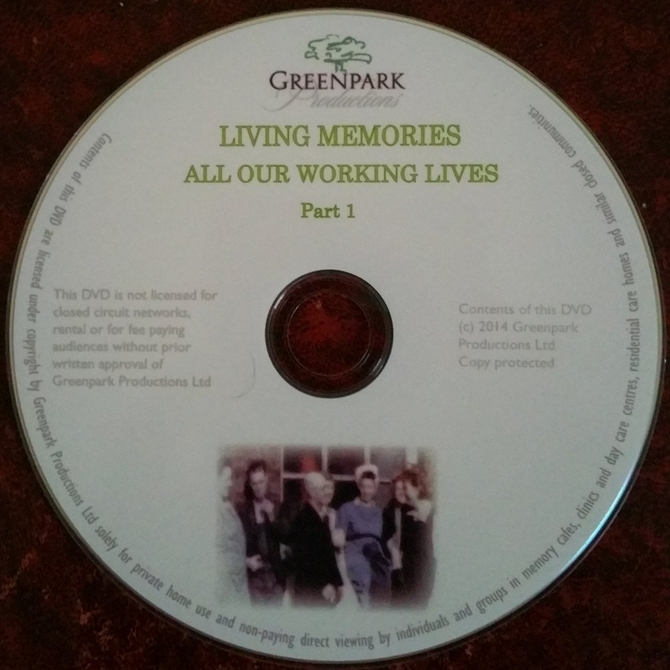 The DVD contains menu based film clips of archive film which can be explored in various ways to stimulate reminiscence and conversation. We strongly recommend that you view each clip before using it for a reminiscence session. Apart from becoming more familiar with the clip, it will give you the opportunity to select particular scenes on which to pause because they are particularly rich in objects or subjects which can stimulate discussion. The film clips will also give carers a glimpse of working life in those days, including jobs that have now changed or completely disappeared. Air crew - training to be an air hostess.